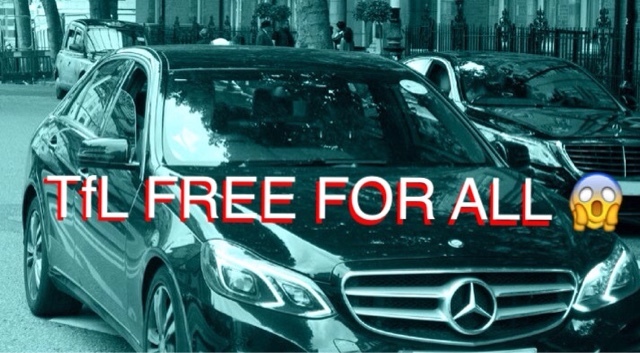 Taxi Leaks: TfL To Change Legislation In Order To Suit Private Hire Ride Share Apps. TfL To Change Legislation In Order To Suit Private Hire Ride Share Apps. After the recent exposes from Tim Fenton, which shows us that not only have Uber been operating illegally all along, but that TfL knew about this, most of the time, did and said nothing in a massive cover up. We now find that TfL are actively changing the regulations to suit Ride Sharing App companies. Can't conform to existing legislation....no problem we'll just change it to suit you ! This is in response to changes in the private hire industry and the many new services being offered. It has been designed to ensure London remains the world leader in regulating taxi and private hire services while maintaining the safety of passengers. The private hire and ride-sharing market has been transformed in recent years as new technology has made it easier and cheaper to book rides through apps, resulting in a significant increase in the number of people opting to use private hire services. An increasing number of services are also emerging in London that include ride-sharing, in which passengers share vehicles and pay separate fares. Helen Chapman, 'Interim' Director of Licensing, Regulation and Charging, said: ‘The private hire market is unrecognisable from when current legislation was introduced. The growth of ride-sharing and other advances mean that regulation has to be fit for the next decade and not the last. With companies illegally licensed, passenger sexual attacks including rapes from PH drivers up by 50%, data hacking, tracking passengers after they've left the vehicle, the GreyBall program, customer credit card fraud and massive increases in road traffic accidents, TFL's record to date is shockingly poor! TfL is already progressing new regulations to assess private hire drivers and applicants on safeguarding, disability, equality and knowledge of private hire legislation as part of an enhanced driver assessment package. for consultation in relation to an advanced driving test, private hire operator fleet insurance and private hire vehicle signage, and the impact of removing the Congestion Charge exemption for private hire vehicles. To ensure regulation keeps up with the rapidly evolving private hire sector, licences may be issued for shorter periods during the programme of regulatory reform. Any advances in convenience for the customer have to be accompanied by the appropriate protections for passengers. There have been calls for motorbikes to be able to use the capitals new system of segregated cycle lanes in order to bring down the shocking number of fatalities to riders and passengers. Can't wait to see the reaction from the cycle lobby when they find out they may have to share their cycle super highways with scooters, mopeds and motorbikes. Well, a national taxi act is required. At the moment we have a farce where an illegally operating company is working on appeal thus making a mockery of any sort of regulations. Legitimate taxi drivers are totally fed up and have absolutely no confidence in the government or licensing departments. It's a sad and pathetic situation, especially since the whole truth is being covered up and not reported in the media. The private hire market is unrecognisable from when current legislation was introduced. Yes it is & why because the rule of law has not been enforced. Helen,you need to get into your thick head Taxi's are a public on demand hiring,Private Hire are a private pre booked hiring not to replace taxi's. Last night i was with my family at the windmill pub/restaurant in windlesham,when we left in the car park where 2 London Uber rats,the one in the people carrier left when he see me unlock the cab the other one was looking at me so i shouted to him.....THIEF......my daughter said (plod)here we go again,but the driver left,but as Uber now say this is the London region i take it i can also now work these areas.